At A Good Spa Day, our only goal is to bring you a relaxing, comfortable and beneficial beauty spa experience. One of our primary services is skin care, and our varying treatments will leave your dermis looking and feeling healthier. In particular, exfoliation is very important. Both within a spa environment and at home, the removal of dead skin from the surface is a big part of skin care. How does it benefit your skin? Let’s take a look. In many situations, what we think of as dry skin is actually just dead skin. 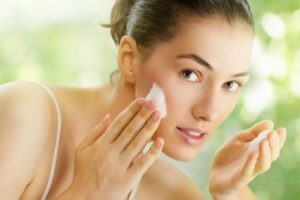 Many of those flakes on the surface of your skin are dead cells, and exfoliating with the right products will get rid of these in a heartbeat. This process will then allow you to apply moisturizer to the living layer, which is the one that really needs it. Whether it’s acne or another form of skin breakout, exfoliation can go a long way removing these kinds of marks on the face. It helps draw the congestion out of your pores, which helps prevent blackheads and these types of episodes. Blemishes- which can often leave a dark mark or residue for days or weeks- can be eliminated by proper exfoliation. Many people look to skin strips, because it will kill bacteria when they have a blemish. However, the right exfoliation is actually more effective. It translates into less irritation and risk to the skin. Exfoliation is also a great idea for breaking up long term pigmentation issues as it removes dead cells and allows marks to fade. Both tanning in beds or under the sun, getting rid of dead skin through exfoliation is huge. UV rays won’t affect dead skin, plus it will sit on the top layer and block living skin from absorbing the rays. Exfoliation and sun protection are very different, though – make sure you take proper precautions while you’re tanning. For people who wax often, ingrown hairs can become an issue. This is because hairs are being pulled out of their roots far below the skin, and the regrown hair is often unable to penetrate the top layer of skin and grow in properly. By getting rid of that top layer of skin, exfoliation can help rid you of painful ingrown hairs. It makes it much easier for the hair to grow back through in a healthy way. Want to learn more about our skin care treatments, or any other element of our beauty spa services? Speak to the experts at A Good Spa Day today.